How a young Polish Catholic boy went from an aspiring actor and an athlete to become the first non-Italian pope in 400 years is a dramatic story. How John Paul used his high office to undermine and help destroy Communism in Eastern Europe while at the same time transforming the Papacy onto a world stage was revolutionary and inspiring, if not controversial at times. 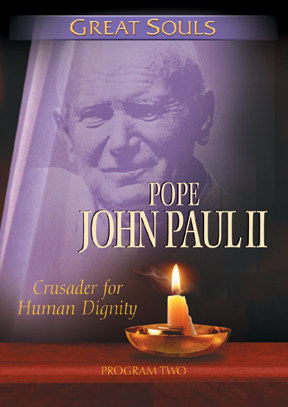 Filmed on location in Poland, Rome, London, and the United States, leading churchmen, friends and colleagues, historians, journalists, and his personal biographer examine the character and forces that enabled John Paul II to be acclaimed universally as one of the most important personalities in the twentieth century.